Growing petunias can offer an array of summer color in the garden, in borders and hanging baskets. Petunia care is easy when armed with the right tools – like planting, pruning, pests and disease, and the different types of petunias available. All this and more can be found in the articles that follow. When designing the perfect garden, your design may hinge upon that perfect true shade of white. We understand how upsetting it can be when your “white” petunias look a lot more yellow or pink than white. Find some outstanding white petunias here. Petunias are perfect bedding or container plants. If you are planning a hanging basket with a certain color scheme such as pink, you will want to know about pink petunia varieties. There are several pink petunias to choose from. This article provides some of the more popular. Available in all kinds of colors, sizes, and shapes, there is a petunia for virtually every situation. But what if you know you want purple petunias? There are plenty of varieties to choose from. Learn more about selecting and planting purple petunia cultivars here. Petunias are an old-fashioned annual staple that are now available in a plethora of colors. But what if you just want to see red, then you’re in luck because there are many red petunia varieties available. Click here for some top choice petunias that are red. Each year new varieties of petunias are introduced boasting improved colors and textures for the garden or containers. There are now even many true blue varieties of petunias available. This article has more information on popular blue petunia cultivars to add to your garden. What happens when your petunias start to wilt? Sometimes it?s easily fixed, but sometimes it?s a sign of something serious. Click this article to learn more about petunia wilting problems and what causes petunias to wilt and die. There?s a lot to appreciate about petunias. These cheery garden favorites are available in an amazing range of colors, sizes and forms. 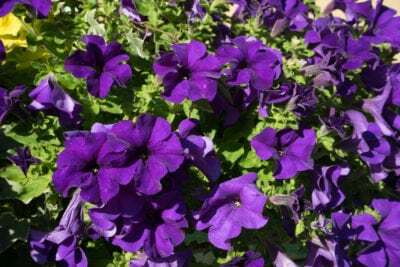 Learn about a few of the different types of petunias in this article and make selecting these flowers an easier endeavor. Many gardeners find themselves back at the nursery complaining that ?my petunias are getting leggy.? All the flowers end up at the end of the lanky bare stems. Don?t fret. 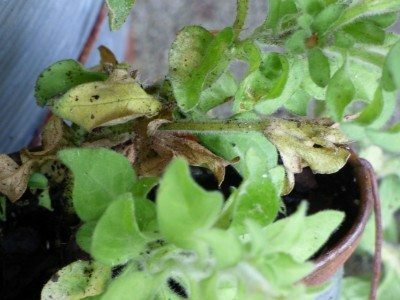 You can learn how to stop leggy petunias in this article. Even if you deadhead your petunias furiously, clipping off all those faded blossoms, the stems just keep growing longer. Do petunias need pruning? Yes, they do. Click here for more information about how to cut back petunias. Petunias are fantastic annual bloomers. If you?re really serious about adding some color to your garden or patio, you might want some companions to mix things up a bit. 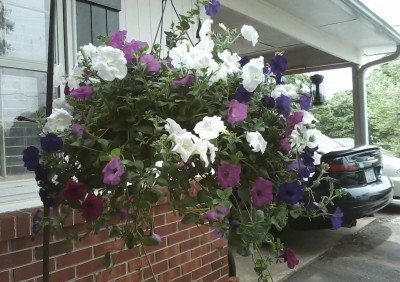 This article will help with learning what to plant with petunias. Although petunias are classified as tender perennials, they are delicate, thin-leaved tropical plants that are usually grown as annuals due to their lack of hardiness. Learn more about the cold tolerance of petunias in this article. Planting petunias in containers is a fantastic way to showcase them. Whether in hanging baskets or containers on tables or a front porch, growing petunias in pots brings vibrant color throughout the summer. Learn more here. If you?re not sure what to plant in your hanging baskets, you can?t go wrong with hanging petunia plants. With only a bit of effort on your part, petunias will reward you with masses of bright color all summer. Learn more in this article. Yellowing petunia leaves can leave a gardener scratching his/her head. In many cases, the yellow leaves on petunia plants are cultural in nature but sometimes the cause is a common disease. Learn more in this article. Petunias are no longer the plain Janes of the flower border. The new cultivars are considerably more expensive, so you may want to overwinter them to save money in the spring. Read this article to find out how. What do you do if you have non blooming petunias? Learning how to make petunia bloom is fairly simple. 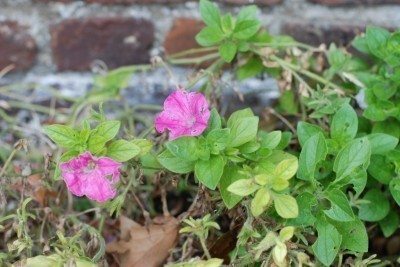 Read this article to find out what may have caused the petunia plant with no flowers. It's simple to buy petunia seedlings to fill a planter, but for mass plantings and garden edging, growing petunias from seed is the way to go. Learn more in this article. If you want to fill a flower bed or large planter with an eye-catching pop of color, Wave petunias are the plant to get. Learn how to care for Wave petunias in the article that follows. Petunias are among the most popular of garden flowers. Unfortunately, those colorful blossoms die off quickly, leaving you the job of deadheading petunias. Get deadheading tips for petunias here. Most flower gardeners are familiar with growing petunias from seed. But what about taking petunia cuttings? Learn how to start petunias from cuttings with information found in this article. Petunias tolerate a lot of abuse and neglect, though pests and diseases can create problems. Read carefully through this list of common petunia flower issues to learn how to treat ailing petunias. Growing petunias can offer long term color in the summer landscape and brighten dreary borders with lovely pastel colors. Proper petunia care is simple and easy. This article will help.